The people who work at FlahertyColvin not only have the knowledge and experience to help you pursue your financial goals, but they also happen to be extremely great folks, too! Our staff is always ready to address your concerns, answer your questions, and put you at ease. Our team is built on a multigenerational approach. We range in ages from the 20s to the 60s. Each member of the team brings his or her own frame of reference and experiences to building our clients' financial plans. We are living the same problems and joys that you are experiencing. The advice we give is the advice we live by. Each of our clients deals with the entire team. Stewart Flaherty is the leader of the company. 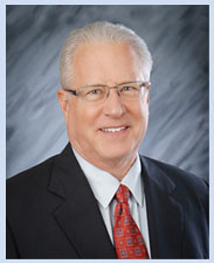 Stew entered the financial services industry in 1972. He is a Chartered Life Underwriter®, a Chartered Financial Consultant®, an Accredited Investment Fiduciary®, and a Certified Retirement Counselor®. Tami Colvin, CFP®, CRC®, has been with the company since 1987. 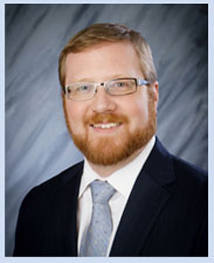 Michael Flaherty, CFP®, has been with the firm since 1999. The combined training and experience of this team provides our clients with the unique approach we use to attempt to solve our clients' problems. Read more about fiduciary responsibility. Stew Flaherty is the founder and CEO of FlahertyColvin, an independent financial advisory based in Westerville, Ohio. His 40-plus year career as a financial advisor is founded on core principles that facilitate a sensible, sustainable approach to successfully managing money. Stew holds an array of financial industry accreditations. He is a Chartered Life Underwriter® (CLU®), a Chartered Financial Consultant® (ChFC®), an Accredited Investment Fiduciary® (AIF®), and a Certified Retirement Counselor® (CRC®). He holds FINRA Series 7, 24, 31, 63, and 65 securities registrations through Commonwealth Financial Network®. The firm is licensed to do business in 30 states and has been chosen one of the Columbus area’s top wealth management firms for the past three years by Five StarSM Professional*. Stew asserts that most financial plans are disconnected from their owners’ lifestyles. To overcome this defect, he pioneered lifestyle financial consulting, an innovative strategy that provides the critical integration. Clients are able to make sound, realistic financial decisions that align with what is most important in their lives. Importantly, these decisions are made within a secure and nurturing environment. The fact that so many of his clients are second- and third-generation families attests to Stew's dedication to the people who rely on him for honest financial counsel. Parents in these families pass on meaningful financial lessons to their children, such as the principle that successful investing begins not with products but with developing a sound money management process. Stew's leadership and consensus-building skills gained national attention when his voluntary struggle to organize, fund, and develop a women’s bobsled team resulted in the first U.S. Olympic gold medal in women’s bobsledding at the 2002 Winter Games in Salt Lake City. Stew achieved this improbable “rags to riches” victory by applying the same principles he uses to help his clients pursue their financial dreams: assess the situation, set goals, create a plan, and commit to it. Stew is actively involved in his community, having served as both mayor and chairman of the city council for Westerville. Stew was voted Westerville’s Citizen of the Year in 1993 and also received the President’s Award. Stew and Marcia, his wife of 31 years, have four grown children and five grandchildren. Stew is an avid beekeeper, international traveler, photographer, and reluctantly retired hockey player. Stew Flaherty is proud to have been recognized as a President's Club advisor for 2016—a distinction based on annual production attained by 16 percent of advisors affiliated with Commonwealth Financial Network. Each year, Commonwealth, the broker/dealer–RIA that helps us process investment transactions on your behalf, recognizes President's Club advisors by inviting them to an exclusive gathering of their peers, leading industry experts, and Commonwealth home office staff. President's Club advisors benefit from an intensive learning and networking experience designed to help them hone their expertise, share best practices, and provide ever-higher levels of service, education, and leadership to their clients. *Based on 10 objective eligibility and evaluation criteria, including a minimum of 5 years as an active credentialed financial professional, favorable regulatory and complaint history, accepts new clients, client retention rates, client assets administered, education, and professional designations. 712 Columbus wealth managers were considered for the award; 112 (16 percent of candidates) were named 2016 Five Star Wealth Managers. (The criteria provided reflects the most recent year for which advisor received the award. The criteria used, the number of wealth managers considered for the award, and the percentage of those who receive the award, may vary from year to year). These awards are not indicative of the wealth managers' future performance. Your experiences may vary. For more information, please visit www.fivestarprofessional.com. As part-owner, Tami oversees the daily activities of the entire FC staff. 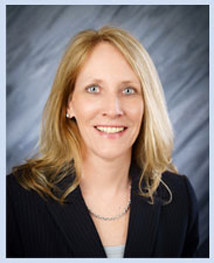 Tami joined the firm in 1987 and later earned her CERTIFIED FINANCIAL PLANNER™ professional designation after studies at Ohio State University. Tami; her husband, Michael; and their two children enjoy golfing as a family and recently took up skiing because the golf courses close down in winter. Michael is in charge of investment and portfolio analysis and is responsible for tracking an array of investments, including equities, mutual funds, annuities, and fixed income products. His research and analysis are then applied to a client’s financial plan. Michael joined FCG after serving as vice president of Ice Beams, a manufacturer of speed suits for Olympic athletes, and he traveled with the U.S. women’s bobsled team that won an Olympic gold medal. Michael and his wife have two young boys. He also coaches youth hockey and is the author of the children’s book Whose Story Is This, Anyway? Lia originally joined FlahertyColvin as a receptionist in 2014. It quickly became apparent that she had higher aspirations. So, in 2015, she chose to obtain her FINRA Series 6 securities registration and became a registered service representative. Lia is the “go-to” person, helping the office function smoothly. When clients call with a question, Lia guides them to a solution. Her smiling face greets clients when they arrive for a meeting, and she makes them feel at home. Lia previously worked at a family business and says the transition to working for FlahertyColvin was easy because it “feels very much like a family. We work closely as a team and with our clients. I also enjoy being a part of the firm, and I look forward to being here for a long time, as my position evolves." 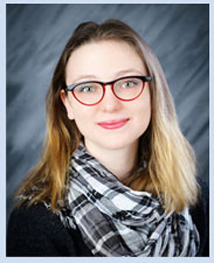 Outside of work, Lia is an avid reader and enjoys movies, painting, and trying new things. This communication is strictly intended for individuals residing in the states of AZ, CA, CO, DE, FL, GA, HI, ID, IL, IN, KS, KY, MA, MD, MI, MO, NC, NJ, NM, NV, NY, OH, SC, TN, TX, VA, WA, WI, WV, WY. No offers may be made or accepted from any resident outside these states due to various state regulations and registration requirements regarding investment products and services. Investments are not FDIC- or NCUA-insured, are not guaranteed by a bank/financial institution, and are subject to risks, including possible loss of the principal invested. Securities and advisory services offered through Commonwealth Financial Network®, Member FINRA/SIPC, a Registered Investment Adviser.